On November 29th, 2017, Florida’s Third District Court of Appeal reversed a lower court decision in the case of Merco Group at Akoya, Inc. v. General Computer Services. This dispute involved the alleged breach of a business contract. The appeals court reversed the lower court’s decision on the grounds that the court had misapplied an important evidentiary rule. As a result of this error, the jury was prevented from considering a key factor in the case. The Akoya Condominiums are a 47-story residential building in Miami Beach, Florida. Construction was completed on this property in 2005. Merco Group was the developer on this project. Shortly before the condos were put on the market, Merco Group consulted with General Computer Services (GCS) regarding installing hardware and software. Eventually, the two companies entered into a business agreement. The question at dispute in this case was whether or not Merco Group was legally obligated to sell a $3,900 computer system to each individual unit owner in the property. GCS argued that the developer had agreed to do exactly that: Sell one $3,900 unit to each and every unit owner. However, Merco Group countered that the language in the original contract was unclear. They pointed to a contract addendum that instead only required Merco Group to use its best efforts to promote the $3,900 system to each tenant. While Merco Group had to make a good faith effort to make a sale, they were not required to actually make each sale. The lower court refused to allow Merco Group to submit that additional contract addendum into the court record as evidence. The ruling was made on the grounds that doing so would merely confuse the jury. 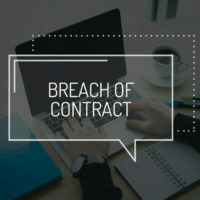 As this stipulation was left out of the evidence, the jury relied solely on the text of the original agreement and awarded CGS more than $1.3 million in breach of contract damages. Upon review, the appeals court reversed the jury verdict, finding that the disallowed contract stipulation evidence should have been heard by the jury. The court plainly stated that contracts and addendums should be read together, to give the best available picture of the intentions of each party. Thus, the jury needed to hear that evidence to be able to make a valid contract interpretation. As such, the case was reversed and remanded for further proceedings. The most important lesson in this case is that in contract disputes, every document matters. As a matter of Florida case law, the state’s courts work very hard to try to determine and uphold the original intention of the parties. At Pike & Lustig, LLP, we are proud to offer top-quality legal services to businesses throughout South Florida. Our skilled business law attorneys have extensive experience handling all aspects of contract disputes. To schedule a free review of your legal case, please do not hesitate to contact our team today.